I’m honestly not big into children’s animations. To be completely frank, I’m not a movie person at all—I just can’t sit still long enough to enjoy a movie. But I do on occasion give into the whims and pleads of my two girls who are enamored by anything that plays on a flat screen. Which explains why I got sucked into watching Finding Dory while agonizingly tapping my toes, stifling my yawns and smiling brightly each time one of them looked at me to make sure I was still there. Although I can’t say I was completely successful in my efforts to pay attention, I will admit that I’m happy that the television time was well worth the great life lessons that this movie taught—lessons that even we adults can use a healthy reminder of. For those of you who are planning on watching the movie but haven’t seen it yet, I’ll try not to include any spoilers, so, in the vaguest way possible, one of the main things that this movie teaches us is that we should never give up. No matter what challenges lay ahead, no matter how seemingly difficult or impossible a task appears, no matter what your personal limitations, follow your dreams and charge on ahead. If you’re persistent enough, you’ll get exactly what you want. Dory has memory challenges, but this doesn’t stop some of his dearest friends from sticking by him no matter how frustrating it gets to keep refreshing his memory. Those friends are with him till the end and they don’t belittle him, treat him differently or make him feel stupid for his challenges. And the good news is, people like that truly exist. They respect everyone, try to be helpful and stick by you no matter how difficult the war or great the feat. We each fight our own battles, and the more we kick people down or disregard others’ feelings, the more disrespect we receive in return. You never know what struggles someone is facing, so if you can’t find it in you to offer respect, the next best thing to do is to simply walk away. This is perhaps the most important lesson of all, and as a mother who strives to create that magical bond between her kids, I was warmed to see that the importance of family was the core lesson of this movie. Most of us have a lot to be thankful for, but this movie teaches us that nothing is as valuable or integral as your family. 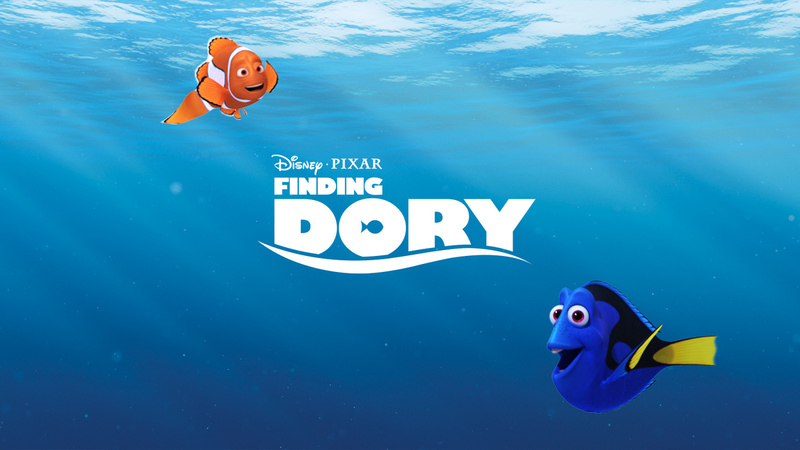 Dory fights for his till the end, traversing all boundaries and conquering all risks. And for this, he’s a hero. After watching glimpses of this movie (yes, I cheated and let my mind wander every now and then), I’ve got to say I’m pleased that the creatives behind these films give thought to the morals they can teach the younger generation. Hopefully the lessons these kids learn from these movies will be imprinted in their small minds and remembered well into the later parts of their lives.